Doug Carn will perform on Sunday, May 20th at the Coastal Jazz Association’s monthly concert. The concert will be held from 5PM-7PM at The Ben Tucker Pavillion at The Westin Savannah Harbor Golf Resort and Spa at 2 Resort Dr, Savannah, CJA Members and students with I.D. attend for free! $20 for non-members. Doug started piano lessons at the age of five but switched to the alto sax at eight. In his early teens, Doug formed his first group, The NuTones. They played a variety of Jazz R&B; and Rock ‘n Roll hits for dances, proms and club dates all over Florida and southeast Georgia. In addition, he held down a post as organist for the A.M.E. church in its 11th Episcopal District. During his sophomore year in high school, Doug started to play the oboe which eventually earned him a full scholarship to Jacksonville University where he returned to teach in the Jazz Studies Department in 1982. Doug began recording in 1971and his most recent album, “My Spirit”’ was released in 2015. 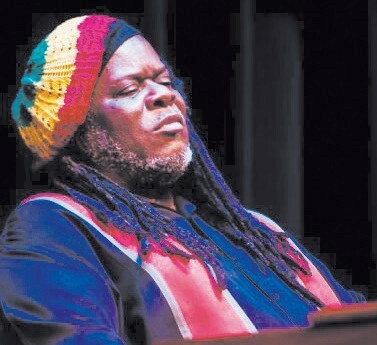 He has extablished a reputation as an innovative composer and arranger, inspired by a natural ability to speak the bebop language and a solid foundation in the classical tradition. Jazz critic Pete Welding said in a Downbeat Magazine Review that Carn’s music’s “chief distinction stemmed from leader Carn’s writing for voice and horns… The vocal lines, sung by his wife were thoroughly integral parts of the arrangements, not just vocals with instrumental accompaniment.” “The most attractive component of the group’s music is Carn’s deft orchestrations, which give it a much larger sound than it’s instrumentation would suggest”. To purchase tickets visit coastaljazz.org.